Dolphins are one of the most intelligent animals on the planet, and have been the subject of a multitude of scientific research throughout the last hundred years as we strive to understand more about theses aquatic mammals’ capabilities. 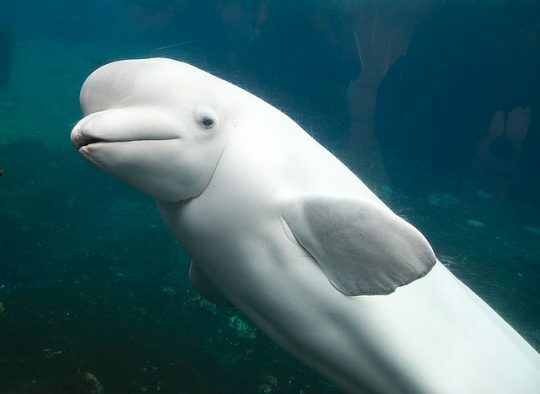 There have been forty three species of dolphin recognized by the zoological community, thirty eight of which are ocean-dwelling, the remaining five being river based. This species diversity and distribution across our planet are a good indicator as to the different properties and varying capabilities of these highly identifiable creatures. 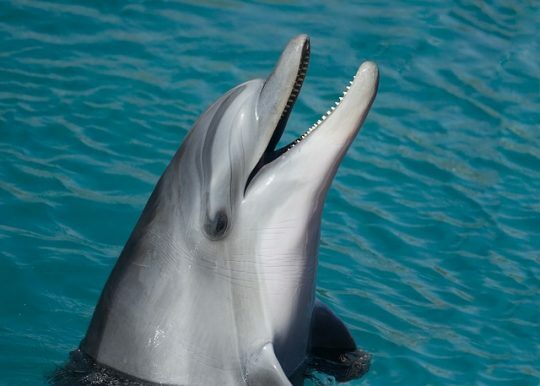 For the most part, dolphins have the same recognizable features, including a greyish blue skin, blowhole and a jumping ability that sets it apart from most marine animals. They vary in size, from the Maui dolphin’s average size of 1.7 m (5.6 ft) and 50 kg (110 lbs) to the killer whale’s 9.5 m (31 ft) and 10 t (11 short tons) frame. Across all species however, they are usually found in a group of several individuals, known as pods. 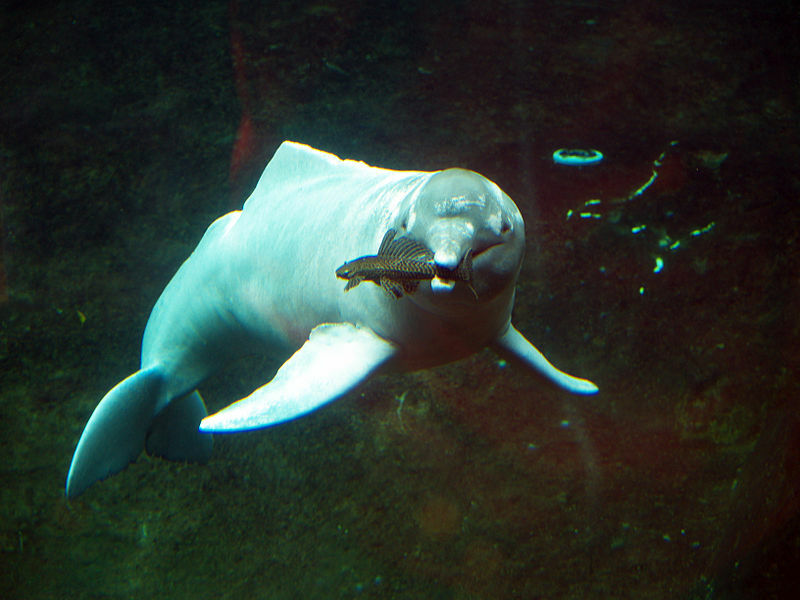 As part of these pods, they hunt and travel together, dolphins can eat up to ten kilograms (thirty pounds) of fish a day and can travel at speeds exceeding fifty-five kilometres per hour (thirty miles per hour). This, along with their wide diversity and other evolutionary properties stemming from population split across the globe, they can be found near almost every coastline or biome, where they have been for thousands of years. 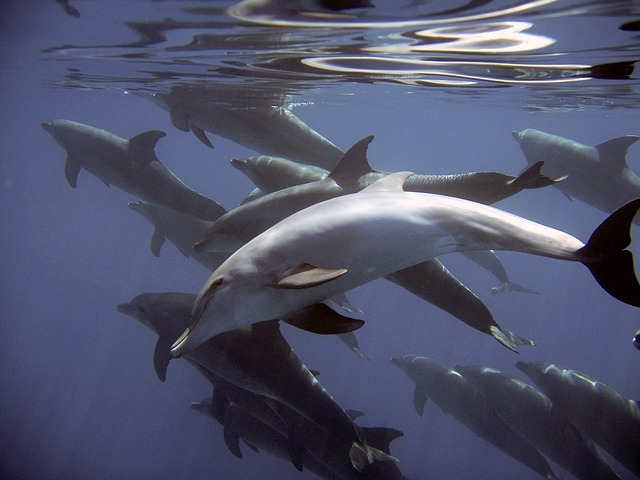 Dolphins have had a relationship with humans ever since their first encounter with us over 4,500 years ago. They have had important roles within Ancient Greek mythology as well as their daily life, as they were seen as a good omen, a fisherman’s friend who saved shipwrecked sailors on more than one occasion. Throughout history they have been linked to various parts of the culture or history of a multitude of countries including but not limited to Romania, Barbados, France, Italy, India and Brazil. Overall, dolphins have always had a positive connotation amongst human populations, a feeling that has persisted until this day, as historians and scientists believe it has to do with the negative interaction we have had with sharks; something we have in common with dolphins. However over the years we have had several issues with dolphins, from captivity programs to falling victims to fishing bycatch and increased pollution, they have been on the wrong end of a lot of our development. What exactly is a dream? A scientific analysis. Stressful day? Make the healthy choice.